Explore value-packed opportunities available now from Cimarron Homes at Creedmoor’s The Meadows at Fleming Farm. Priced from the upper $200s, single family homes at The Meadows at Fleming Farm include brand new 1-, 1½-, and 2-story plans ranging from 1,800 to 3,200 square feet. Homes consist of 3 or more bedrooms, 2.5 – 3.5 baths, and 2 – 3 car garages. Visit the Available Homes tab on the Cimarron Homes website. And make plans to see the furnished model located at 2006 S Sugar Hill Drive, open daily 12:00 PM – 5:00 PM. The Meadows at Fleming Farm is minutes to Falls Lake and Wake County, as well as the Granville County communities of Butner, Creedmoor, and Oxford. Easy access to I-85 provides close proximity to Durham shopping, restaurants, entertainment, Duke University campus and hospital, and Research Triangle Park. 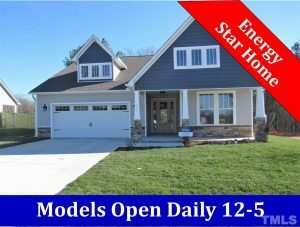 Contact the Cimarron Homes builder representative for more information by calling (919) 302-1215.